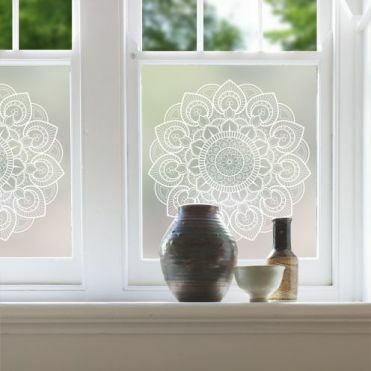 Stunning range of centrepiece designs to go on glass. 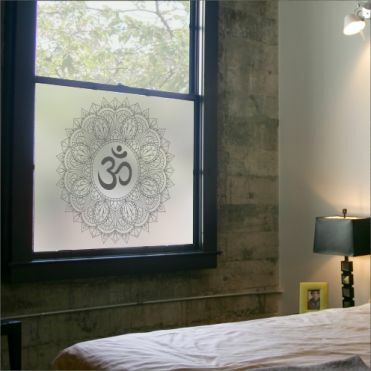 Printed on frosted window film for added privacy. 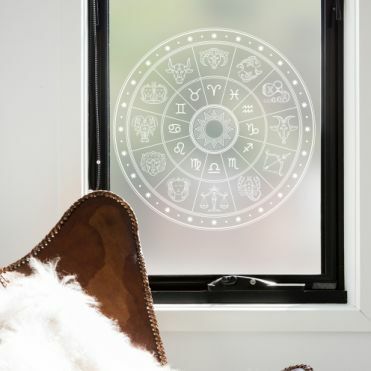 Choose a theme and a design and just enter the measurements of the pane you wish to cover. 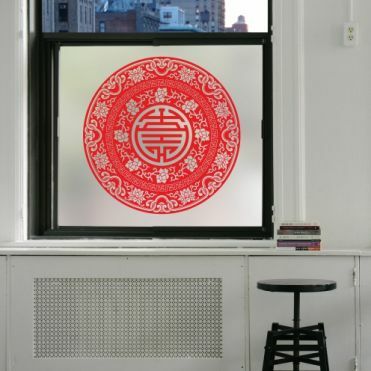 Clear or coloured design on frosted film. 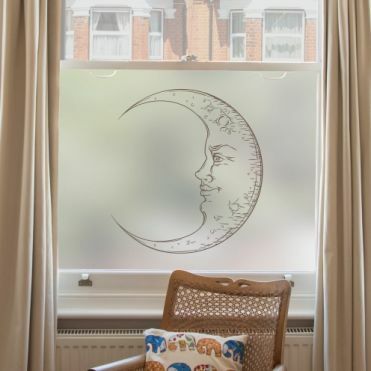 Our printed window film designs can be used for privacy, as an alternative to net curtains, to enhance a period property or just as a decorative treatment for your windows and doors. 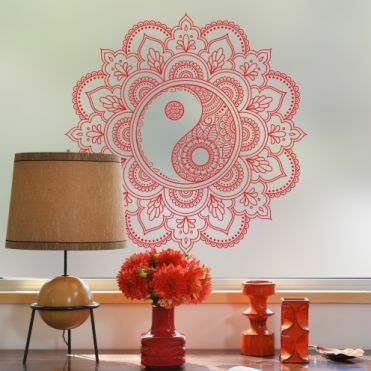 Once you have picked a design, just enter the measurements. 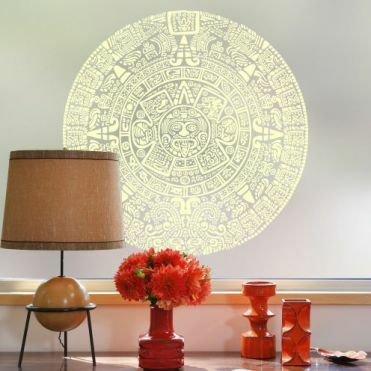 The pattern will be resized and printed to those exact measurements. 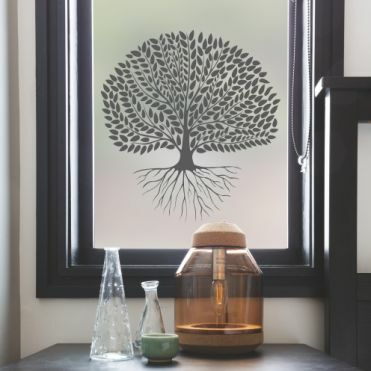 The film is mainly designed for internal application, is suitable for bathrooms and kitchens and resistant to condensation, but avoid direct contact with water. 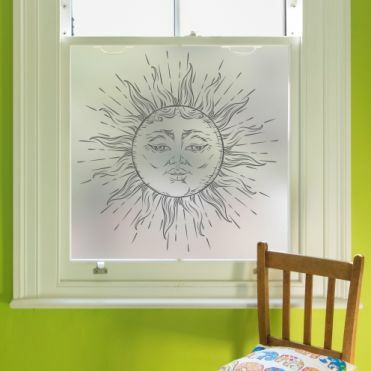 It can be removed at a later stage, making it ideal for rented properties . It is easy to apply, using soapy water and a squeegee. 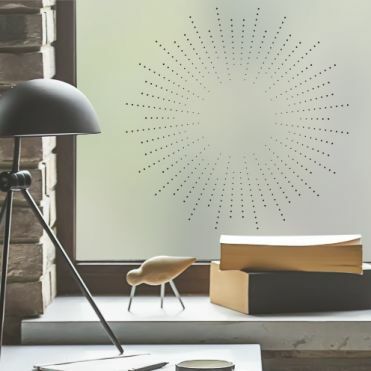 What is patterned window film? 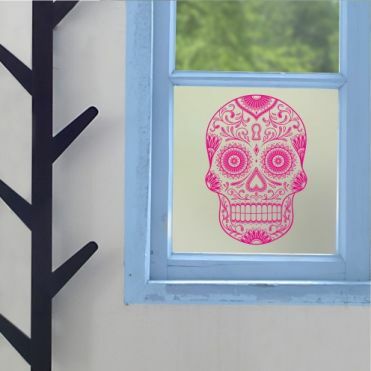 Simply put, it's a window film on which a pattern is printed in UV resistant ink. 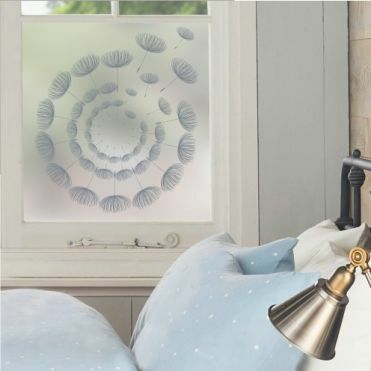 We start with a transparent film and print an etch effect design on it, leaving the pattern clear, or use an etch effect film and print the pattern on it in a colour of your choosing. Both look really beautiful, but choose the transparent option if you would like some vision through the film and a colour if you need complete privacy. How easy is the film to apply? Very easy, and very quick. But don't take our word for it. Read our fantastic Trustpilot reviews, they're all genuine. To apply the film, all you'll need are a few basic tools, and we even throw in a small application tool with your order for free. Soapy water is the key ingredient, which allows you a bubble free application. Take a minute to watch a video tutorial. It's really that easy.